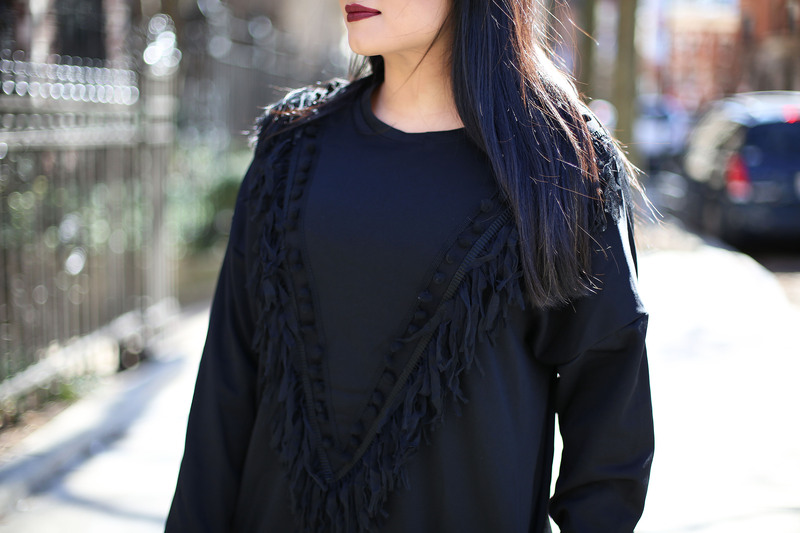 Spring is in the air, and this little black fringe sweatshirt dress is PERFECT for the transition to warmer weather! The pompom fringe detail gives this dress a little something extra, and it was the ultimate reason I fell in love with it. It’s super comfortable, and you can either dress it up with some thigh high boots, or dress is down with some sneakers. Perfect for a night out, or a casual weekend! Not only is this dress a “sweatshirt” but it also has POCKETS! Girl bye. You better go get yours now for only $15! 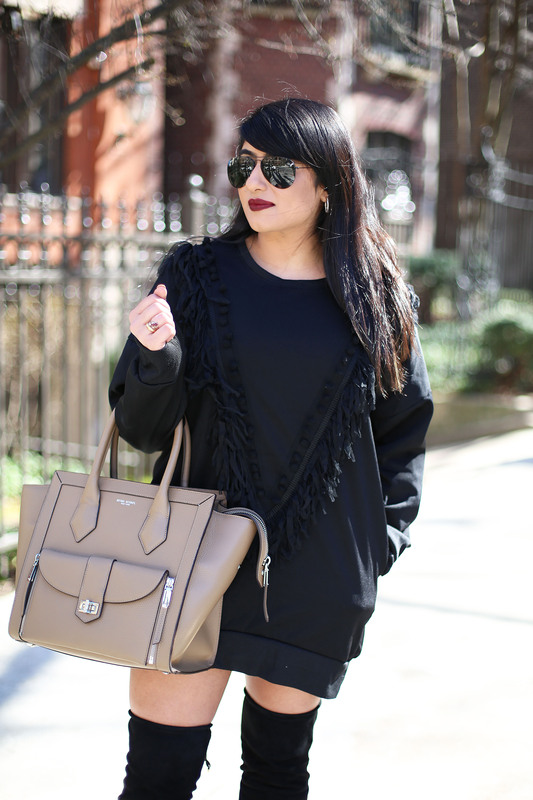 I like this little black fringe sweatshirt dress!! It’s perfect to dress with red pumps. A perfect dress for every age, size and occasion! Great post!